This course is an in-depth study of the Parables in the New Testament. An in-depth study of Matthew's account of the life of Christ. This course includes lectures by Jared Knoll, quizzes and "special studies" of interest. An in-depth study of the Book Of Acts, including Lectures by Jared Knoll, Quizzes, Sermon Thoughts and Special Studies. This course guides the honest seeker to the truthfulness of the proposition that "Jesus is the Christ, the Son of God" (John 20:31). This course deals with Biblical Interpretation and is designed to equip the student with tools needed to gain a deeper appreciation & understanding of God's Word. 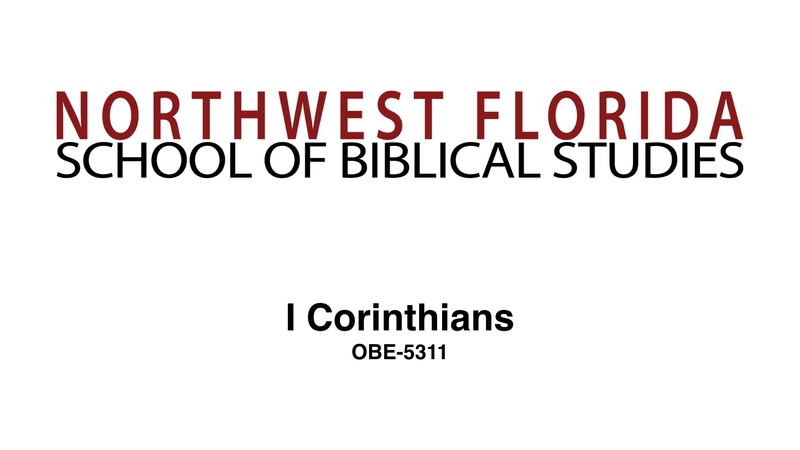 This course includes a sectional and textual study of I Corinthians, along with special studies and sermon starters. Each video has a companion quiz to gauge the retention of the material presented.